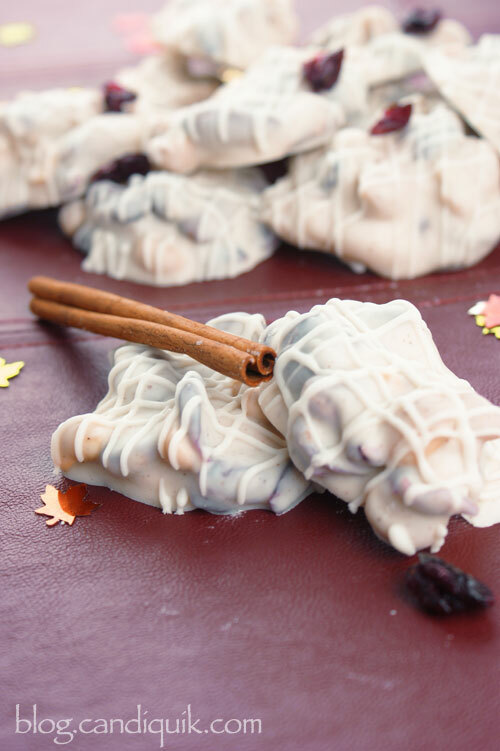 These cranberry nut clusters are a perfect treat that is ready in minutes! You will love the addition of the cinnamon to the vanilla candy coating! Melt Vanilla CANDIQUIK Coating in tray according to package directions. Stir cinnamon into melted CANDIQUIK; add more or less to your taste preference. Pour mixed nuts and dried cranberries directly into tray of coating; stir to coat. Drop by spoonful onto wax paper to form clusters; let set.